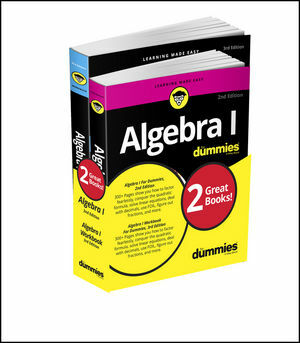 This two-book bundle includes bestselling math titles Algebra I For Dummies and Algebra I Workbook For Dummies. 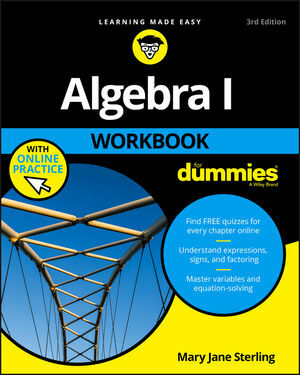 The books work together to give students all of the supplemental instruction and practice they need to score high in their high school Algebra class. The Workbook comes with free one-year access to quizzes online, where students can test their knowledge with end-of-chapters practice questions. 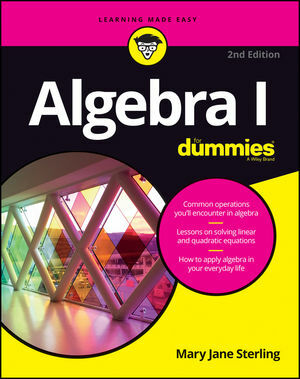 Mary Jane Sterling (Peoria, Illinois) is the author of Algebra I For Dummies, Algebra Workbook For Dummies, Algebra II For Dummies, Algebra II Workbook For Dummies, and many other For Dummies books. She taught at Bradley University in Peoria, Illinois for more than 30 years, teaching algebra, business calculus, geometry, and finite mathematics.